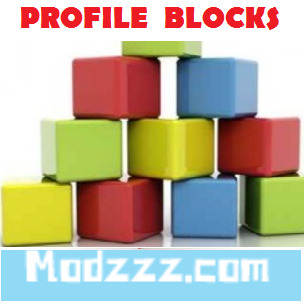 This module allows the creation of Tabbed Profile block which allows displaying each section of a Profile in it's individual Tab, all contained in one block. Interestingly, this Tabbed block can be placed on the Profile Page or on any page on the site that you wish (as long as the page is a part of the page builder). 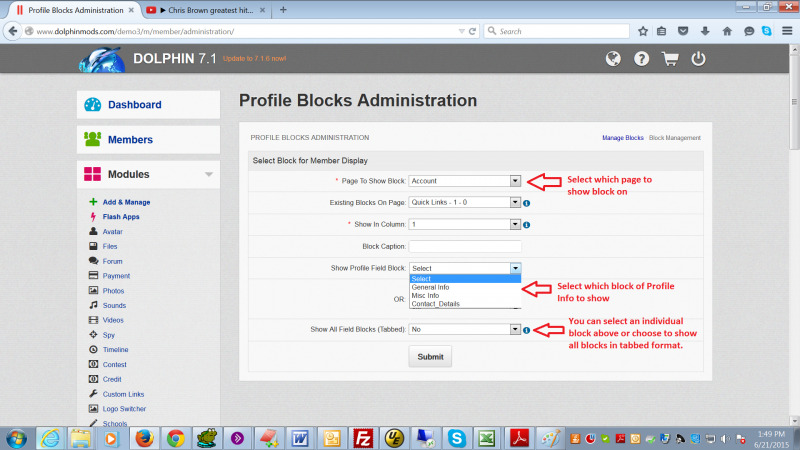 Additionally, the Profile Edit page can be displayed as tabbed block allowing members to edit just a specific section. 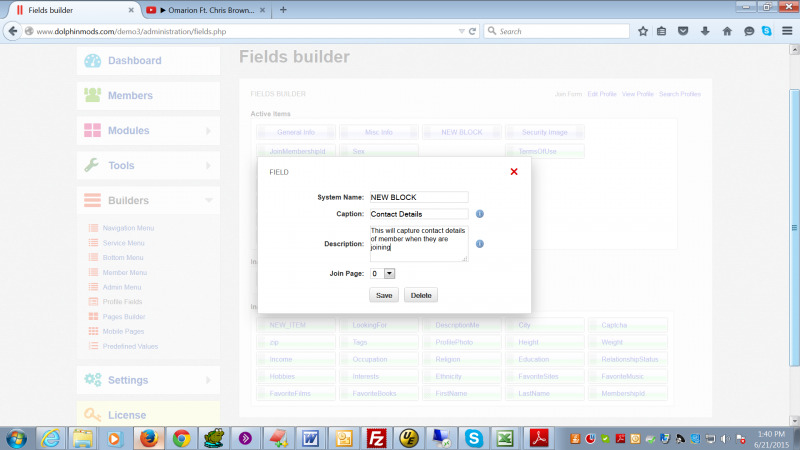 This is much more user friendly than the present layout which shows all fields in one long form. 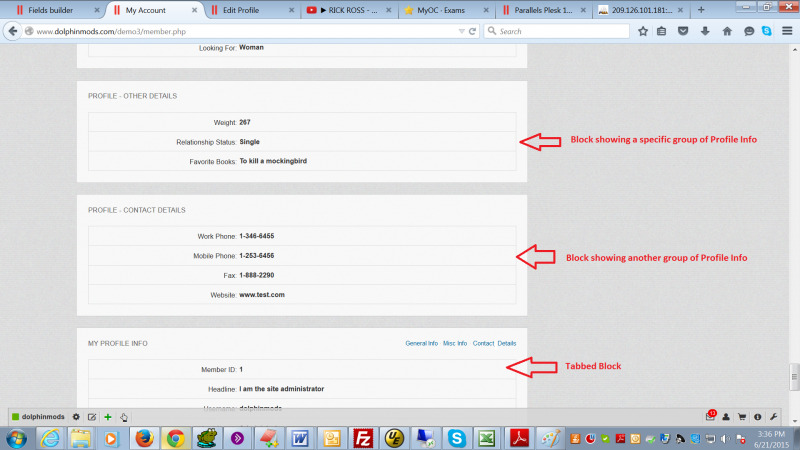 This tabbed functionality can be turned off by the Administrator for sites with a short edit form. 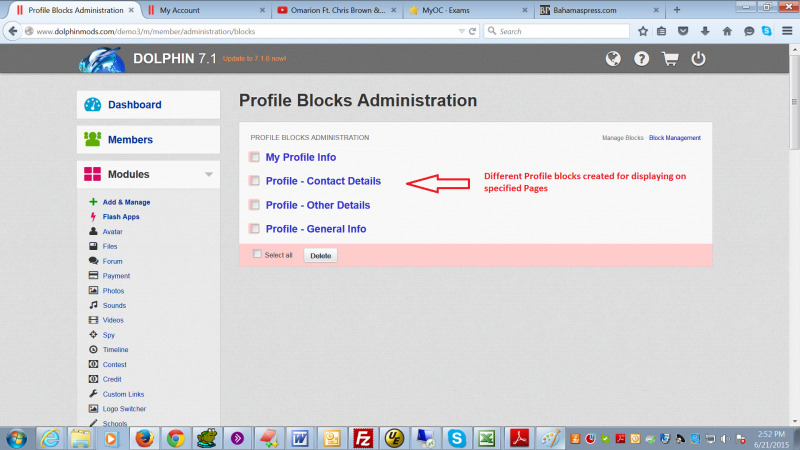 The module also allows you to show all main headers of a member's profile in separate blocks. 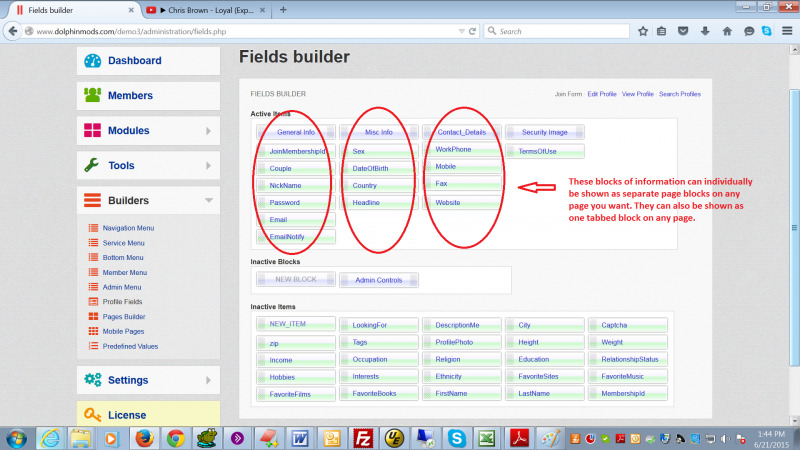 The blocks can be placed on the Profile Page or on any page on the site that you wish (as long as it is a part of the page builder). 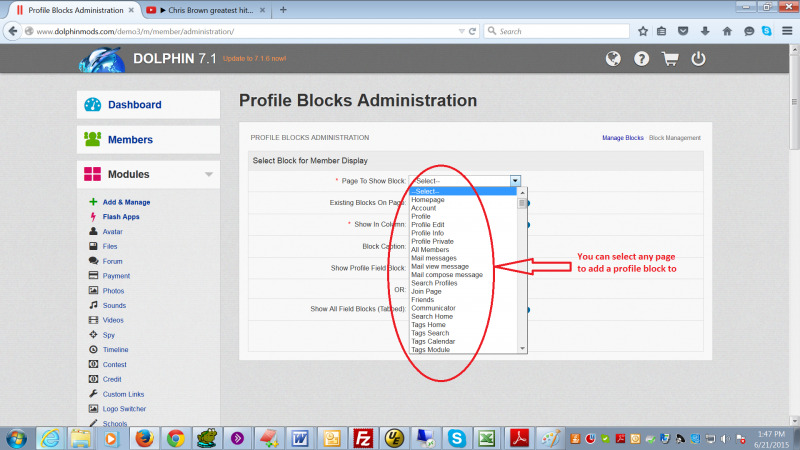 So, for example if you have grouped the Profile details of members into sections "General Details", "Contact Info" and "Work Experience", you can show these individual groups of info in their own block or aggregate all into one block with each section dynamically shown on the click of a Tab. This is a very smart module. very flexible; Easy to use. Make my site simple and clean! Much more user friendly.